Travel Write Draw: Heading to Paris for Men's Fashion Week!! I'm thrilled to share my next adventure with you all!! 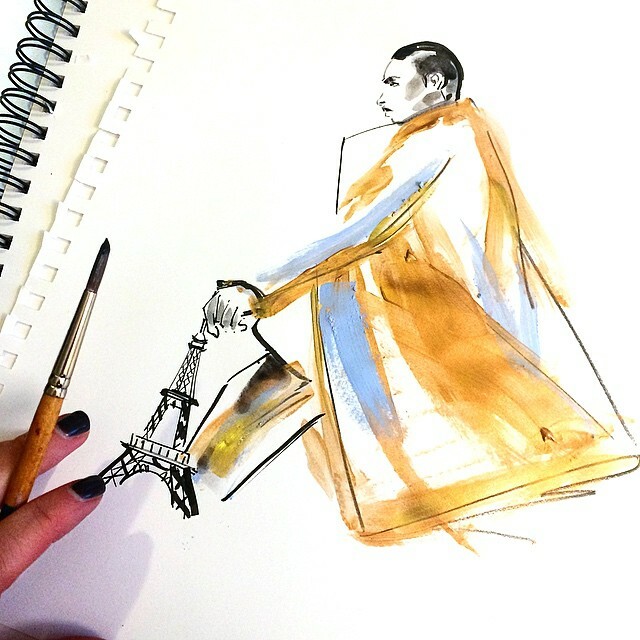 Tomorrow (as in Thursday June 25th) I will be flying to Paris to illustrate live at the men's shows for PFW!! This will be my first time attending fashion week in Paris and already I can't get over how different the process is from here in New York. All the invites are hand delivered and of course every show has a spectacular hidden destination. Be sure to follow along for the whole adventure on Instagram @TravelWriteDraw #TravelWriteDrawinParis...I can't wait to bring you all there with me. See you all in Europe!! Wow what an opportunity! Have a great time! Yes, it's my hidden Paris where not only women are heading for fashion also stylish men.